I spent Christmas and New Year with my family in Tasmania and, like all mainlanders, came back slightly besotted with the beauty of the island and the quality of the local food. All the stone fruits and berries were in full flight and there were roadside stalls selling local fruit and oysters everywhere. On a family trip to Port Arthur, we stopped on the way at a roadside coffee van and a bought beautiful apricots for three dollars a kilo. Then, on the way back to Hobart, we stopped at an unprepossessing service station for oysters and, amongst the usual chips, soft drinks and chocolate, was local honey and other high-end gourmet foodstuffs. An American tourist was buying up striped woollen socks, she couldn’t believe the high quality of the socks for a bargain price. The socks sold at the servo were merino wool and too hot for the Sydney climate but I spent 80 dollars on beautifully coloured stripy Mongrel cotton socks on my two trips to the Salamanca Markets, so I could totally understand where she was coming from. 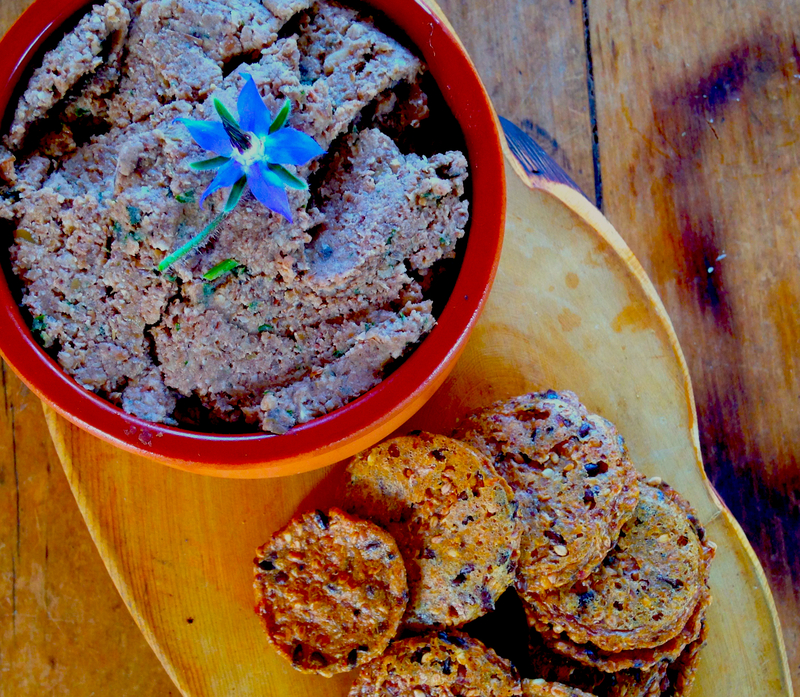 A friend of mine made this walnut and lentil pâté for a spring time picnic in October and it was the hit of the day. Sure, it looks dull and brown and not that exciting but that just makes it just more of a delicious surprise when you taste it. I made it for a New Year’s Eve party we spent at Sandy Bay in Hobart, in the oldest house in the suburb on a hill looking down over the bay. That’s the other thing about Hobart – so many people live in awesome houses with amazing views and heirloom fruit trees and berry bushes in their gardens. This faux foie gras has something of a retro feel of a vegetarian food from the 1970s: all very herby and lentilly, and you can imagine it being served in a hand-thrown ceramic pottery and being eaten by kaftanned, sandal-wearing party goers at a slightly Bohemian suburban party. Apart from the borage flower picked from my brother and sister-in-law’s garden (thanks Jane! ), the photograph makes it look like a study in brown, but trust me – this faux foie gras is really delicious. The recipe makes a large batch but it freezes spectacularly well. In fact, the flavours seem to develop further after a stint in the freezer. If you want to make it vegan, leave out the butter and double the olive oil – I used Saint Omer Tasmanian butter for the batch I made for New Year’s Eve and really good walnuts from the Hill Street Grocer (a Tasmanian foodie institution) and it was so worth it. I also use a bit more herbs, with both parsley and sage (if you can get sage it does give a bit more of a foie gras/pâté flavour). So, buy the best walnuts and butter, throw on some Leonard Cohen and Neil Young and celebrate a back-to-the-future 2016.
salt and freshly ground black pepper. Simmer lentils in water with a bay leaf until tender (about 20–30 minutes). Take the bay leaf out and discard and drain the lentils. Wipe mushrooms clean, trim grungy ends off the stems of the mushrooms and slice them. Heat olive oil and butter in a large skillet and fry onion and garlic until translucent, add slice mushrooms and continue to fry until mushrooms are tender. Season with cayenne pepper, salt and freshly ground black pepper. Allow mushrooms to cool a little and place in food processor with lentils, walnuts, herbs, soy sauce, lemon, brown sugar, mushroom mixture and brandy or cognac if using. Process until tender. Add extra lemon juice and olive oil and season for taste and texture. It should be a fairly stiff pâté but I find I need to add extra olive oil and lemon juice to get a bit smoother more spreadable texture. 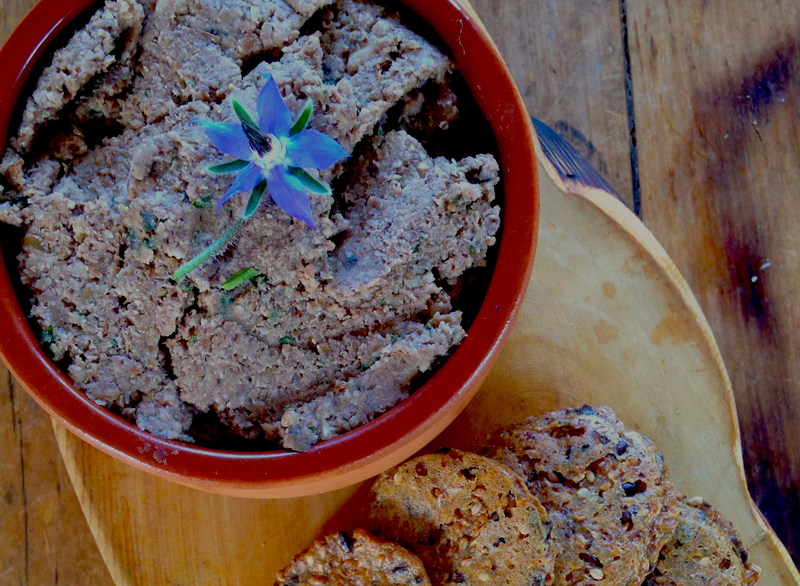 The pâté lasts well in the fridge but it also freezes excellently, the flavours develop a little more after a time. 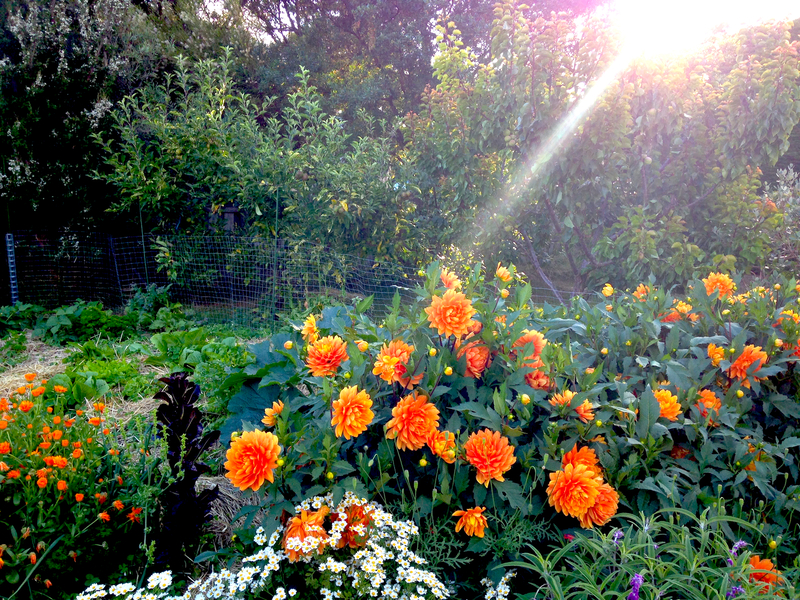 Enter your email address to follow The Backyard Lemon Tree and receive new posts by email.